Installing a glass fence or other barrier around the backyard swimming pool can complete the modern, luxury aesthetic of the pool area, whilst also making it a safe environment for homeowners. Because of the unique safety concerns that come with backyard pools, there are a number of important pool fence regulations that need to be taken into account. When pool fencing is the correct size, made from strong materials, and the entire area around the barrier is designed with safety in mind, the result is a worry-free pool area that can be enjoyed for years. Here is an in-depth look at all the required regulations for pool fences being built around Victoria’s pools. Other states and territories will have varying regulations, so make sure you check the details of your location if installing a glass, or other type of fence, outside of Victoria. Do All Pools Require Safety Fencing? Any pool with a depth over 300 mm must have a permanent fence in place that adheres to the Australian Standard, AS1926.1. This means, your pool’s safety barrier has to have the correct dimensions and features, and it has to be made from a durable material. Whilst glass is a popular choice today for pool balustrading, a pool fence can also be made from steel, timber or aluminium. What Is the Correct Swimming Pool Fence Height? The primary goal of constructing a glass pool safety fence or other barrier is to prevent children from drowning. One of the unfortunate drawbacks of having so many backyard pools in Australia – we have the highest per capita rate of pool ownership in the world – is that drownings do occur every year. Because of this, a pool fence needs to be built to a certain height and abide by important dimension specifications in order to make it close to impossible for a wandering little one, as well as for pets and even older children who aren’t strong swimmers, to climb or fall into the pool area. It’s also important to keep backyard landscaping, patio furniture, and any other features a safe distance from the balustrading or other type of barrier. The idea is to ensure there’s nothing near the pool safety fence that children could use to climb over the fence. Of course, the fence will need to have an opening for pool access. Pool gate closures need to have the following features in order to pass safety inspections. How Strong Should the Pool Fencing Be? With glass fencing, pool safety glass is generally used instead of standard glass. Safety glass, also known as tempered or toughened glass, is four to five times stronger than standard glass, making it incredibly difficult to break. This way, you get the crystal clear look of a glass pool fence, making the pool area appear more spacious and creating an unobtrusive barrier, plus all the safety of a wooden or steel fence. The glass is secured in place with posts and spigots, which can be bolted into the concrete. 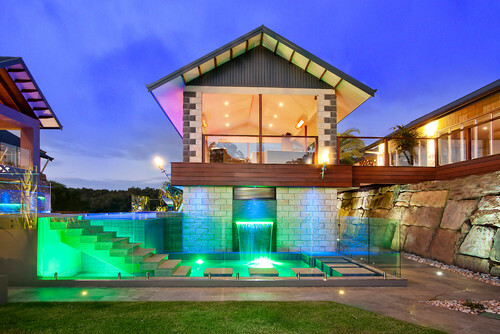 What about Backyard Features Surrounding the Pool? Victoria’s swimming pool fence regulations include standards on the landscaping and backyard design that surrounds the pool. 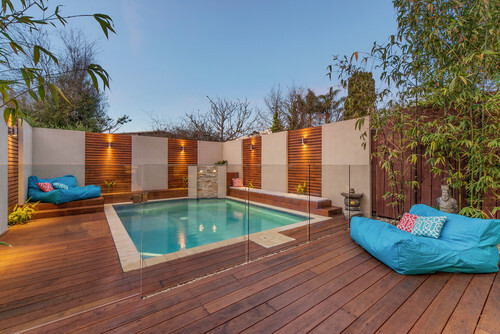 In general, you always want to make sure there is a 900 mm clearance space from the top of any pool feature, such as a patio umbrella, rock features or a raised garden bed, to the pool fence. Also, be wary of building features off of or into the fence. There can’t be any obstructions that edit the size of the fence, like built-in seating, storage, or any other creative design idea. For pool fencing, the key is simplicity and safety. You can’t build a pool fence that runs into another fence. The reason is that the surrounding fence could be climbable. This can be a challenge for pools installed near the edge of a backyard that already has perimeter fencing. However, it’s a major safety issue that will deem the homeowner’s pool not compliant. What Are the Regulations that Pertain to When the Pool Was Built? Pool fence safety regulations are rigorously maintained in most of Australia. 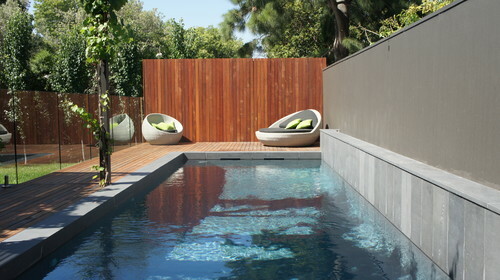 In Victoria, the surrounding fence, as well as the pool itself, need to be professionally inspected and signed off on. Once the design is approved, a pool safety inspector will issue a certificate, which confirms that the fence satisfied all the requirements of the current pool laws. This has to happen before it is legal to fill the pool with water. One thing some new pool owners don’t realise is they will need to have their pool, as well as the fencing, inspected every three years. This has to be done by a registered building surveyor or inspector. It’s more work for pool owners, but with a well-built, compliant glass balustrade to start with, routine inspections will be a fast and simple approval process – and they offer peace of mind. It’s always a good thing to know the pool area is completely safe for everyone to enjoy. To maintain the pool fencing and surrounding area, it’s a smart idea to check for any loose pieces in the barrier, particularly around the gate, which experiences the most use. With frameless glass pool fencing made from high-quality tempered glass, the fence won’t deteriorate or rust over time like wood and metal can. 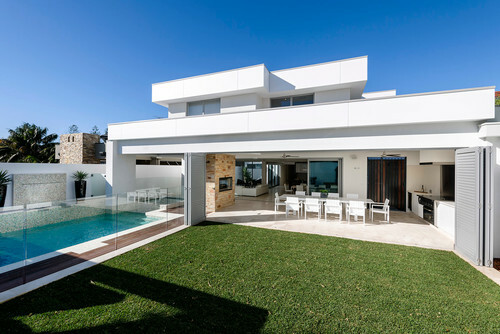 This means, you’re less likely to have any loose panels or joinery – and everyone can enjoy the aesthetic beauty of pure glass surrounding those inviting pool waters.